Wide electronic dry/erase copyboard 70.9W x 35.8H, email enabled, 2 writing panels. 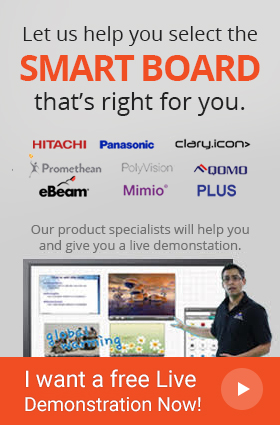 While handling documents, spreadsheets, and more you can attach them to the board as it has a magnetic surface. The weight of the N-32W is 55 lbs. With the new and latest N-32W wide electronic color copyboard by PLUS you can instantly mail the meeting notes to at least 5,000 emails without any interruptions. This high-tech copyborad takes care of the confidentiality of the information by keeping it secured through password security and encrypted emails. The PLUS N-32W is an ideal electronic color copyboard for meeting rooms, conference rooms and other board rooms where training sessions are conducted regularly. It can be used with a compatible colored inkjet or laser printers (that are sold separately) for sending print outs of what was written on the board to each and every member of the meeting. PLUS has always focused on bringing in innovation just to cater user’s convenience and with the supreme N-32W, you can connect your smartphones with the copyboard to transfer the images and written content. For this the user will have to install the PLUS MTG Pocket App. Similarly, the content that will be sent via mails will be automatically converted into PDF, PNG & JPG formats. The saving and sharing of information can be done in 2 ways. Either you can use a generic NFC Type A or FeliCa® card/key fob to initiate scan and instantly send the data to your assigned email address or you can scan the dedicated IC card that immediately triggers the save function to the FTP server. The state-of-the-art N-32W wide electronic color copyboard by PLUS is not restricted to this but it is capable of connecting PC and Mac computer with the board by a simple USB connection. It has made things this easy for you. Also when it comes to the surface of the copyboard, once you start using it, the user will scroll his hands with only 7 oz (0.2Kg) of force and the magnetic surface allows you to keep important notes close so there is no chance of missing a point. This copyboard is not only easy to use but highly durable to be kept for years. Hence, the PLUS N-32W is a superb choice facilitated by its advanced features. Markers (Black, Red, Blue, Green), Eraser, AC Power Adaptor, USB Cable (9 ft Length), User’s Manual, Assembly Set-up Manual, Printer Shelf, Wall Mounting Brackets. Q Is the PLUS MTG Pocket app available free of cost on App store and Google play? Yes, the PLUS N-32W electronic Copyboard comes with free PLUS MTG Pocket on App store and Google play. Q Is PLUS N-32W electronic Copyboard device maneuverable? The PLUS N-32W electronic Copyboard is very lightweight and can be easily transported anywhere. Q Can I save information in my android device with PLUS N-32W electronic Copyboard? Yes, you can easily save the information in your smartphones via the PLUS MTG Pocket app by creating a wireless access point while using the app. Q Can I share information with my colleagues using this platform? PLUS N-32W electronic Copyboard gives users the ability to write, save and share in real-time. Q Does PLUS N-32W electronic Copyboard come with a warranty? Yes, the PLUS N-32W electronic Copyboard comes with a warranty of 1 year.